SAN ANTONIO, Texas — Through the first of four weekends in which all 24 World Class corps will be judged by the same panel, in the same venue, Santa Clara Vanguard stands alone. The corps that spent the large majority of 2017 just inches outside of first place left the Alamodome separated from the field by more than a full point at the DCI Southwestern Championship presented by Fred J. Miller, Inc..
One weekend down, three to go. “We’ve always just kept our eyes on the prize, kept a positive attitude, and told ourselves that nothing’s going to keep us back,” he added. In all reality, what lies ahead is far more complex than just looking to earn three wins on three weekends. 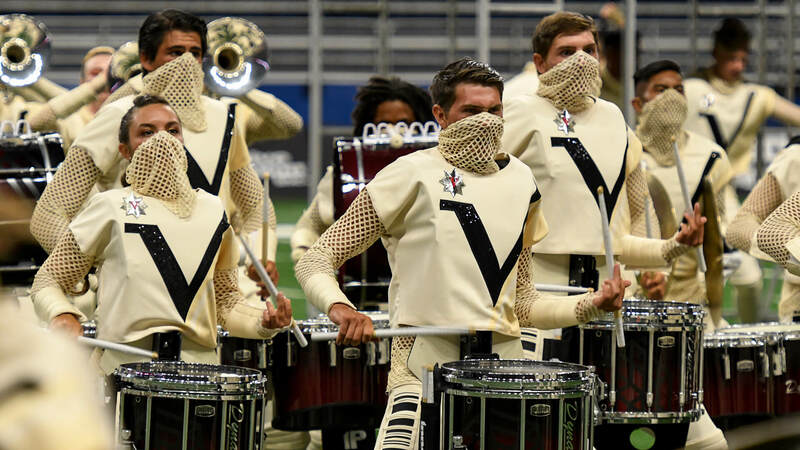 Between now and the DCI World Championship Finals on August 12, Vanguard will go through countless hours of rehearsal, and more than a dozen performances, most of which will pit the corps against its closest competitors. Despite Vanguard’s current grip on first place, there’s no room for complacency, especially given what’s at stake and how tight the competition has been at the top. 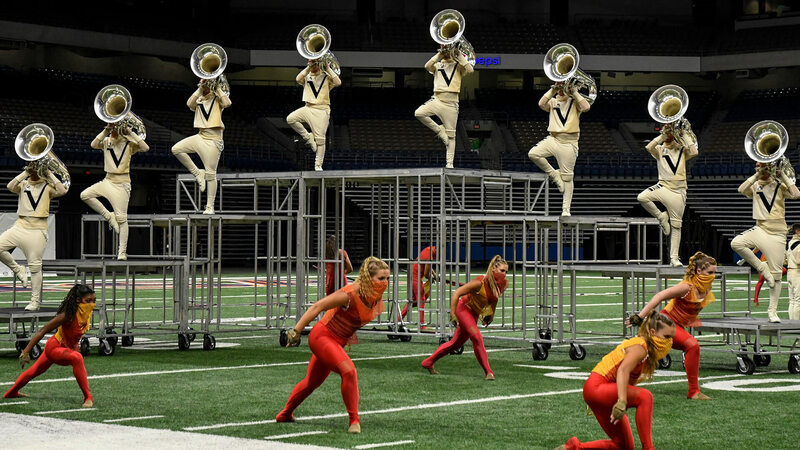 The top four corps in San Antonio — Vanguard, Blue Devils, Bluecoats and Carolina Crown — were separated by just over two points. With that in mind, according to Huang, the plan is to meticulously fine-tune every aspect of the corps’ 2018 program, “Babylon,” entering the home stretch. Competitive success aside, “Babylon” continues to take audiences by storm. According to Huang, it’s one of the most special shows he’s been able to perform in his long drum corps career. With a 1.35-point lead in San Antonio, Santa Clara Vanguard is finding itself in prime position to end a 19-year championship drought. It did so with impressive outputs across the score sheets. In San Antonio, Vanguard didn’t finish lower than second in any caption or subcaption. In its regional victory, the corps featured a strong lead in general effect, a first-place percussion section eyeing its third-consecutive Fred Sanford Award, a brass section that scored second only to last year’s Jim Ott Best Brass Performance award winner Carolina Crown, and a top score in the visual caption. Statistically speaking, there’s a decent chance it could all translate to Vanguard’s first gold medal since 1999; four of the last six winners in San Antonio went on to take home the DCI Founders’ Trophy in August. Either way, members like Huang know that with their recent achievements, they’ve already begun to usher their corps into a bright future.